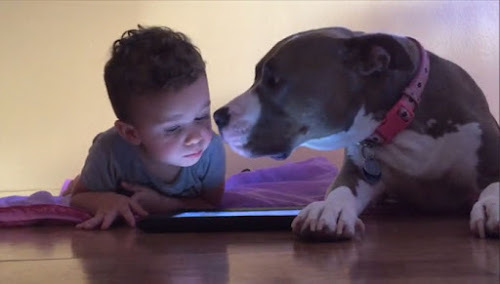 You know those pesky, little high-tech gadgets always seem to get in the way of relationships; your beloved is over there staring at that screen, and all you want is a little attention. Well, it seems it’s no different for dogs. 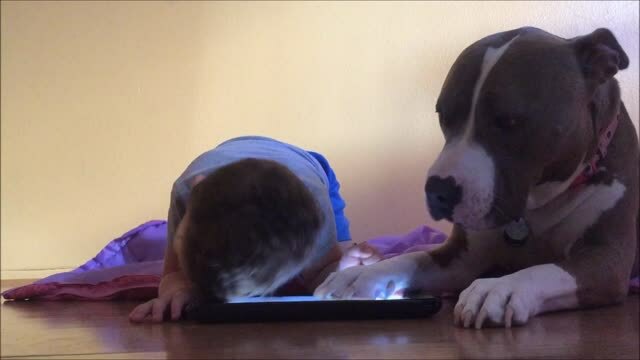 This little boy is trying to play learning games on his family’s iPad, but Gemma, the pitbull, is having none of that! She keeps kissing him with that big, wet tongue to try and win the boy over, but he’s just too preoccupied to care. Awww! A great reminder to pay attention to those right next to us instead of focusing on inanimate objects, don’t you think?